Ministry of Labour Employment Standards Act 2000 Policy and Interpretation Manual (P & I Manual) has been updated, ESA 2019 Release 1 March 2019 replaces ESA 2018 Release 2 July 2018. The 2019 Release 1 replaces all prior versions. For further information please contact the OWTL at owtl@wst.gov.on.ca. Finding a copy of a collective agreement in Ontario is now easier than ever before! 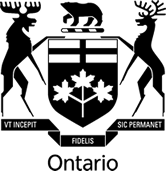 All collective agreements in Ontario are now available online through the Ministry of Labour's Collective Agreements e-Library Portal. They are searchable by full text and also categorized by industry type. Collective agreements are available as downloadable pdf documents. Contact a librarian for help.